Sales coaching is often viewed as sales managers playing an active role in helping their salespeople close business. But what does that actually mean? This viewpoint implies that sales managers have the same role and responsibility as salespeople; to close business. However, sales coaches have a much broader responsibility in helping individuals on their team be successful. Sales coaching can be distinguished from sales management and leadership in that the essence of sales coaching is to help sales professionals develop confidence, try different approaches, and build new capabilities, with the outcome of achieving consistent sales results. Research from Zenger Folkman reveals that over 60% of salespeople are more likely to leave their job if their manager is a poor coach. 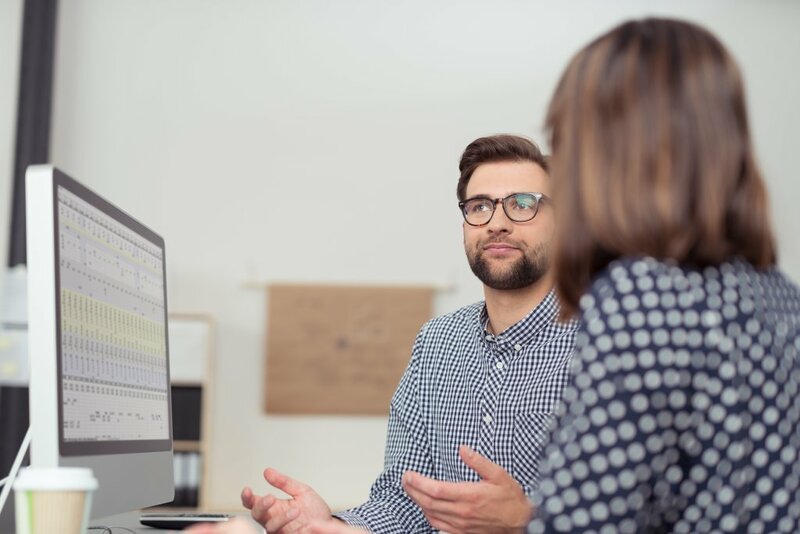 While sales teams need to be actively managed and need clear leadership, coaching is critical to a sales professional’s level of engagement, their confidence and their success in driving consistent revenue. A lot of sales leaders invest a large proportion of their time coaching those that are struggling to achieve sales results. While underperforming sales professionals understandably need your coaching, try to remember that your high performers need your help as well. Everyone can learn, grow and improve (even your high performers) although you may need to adapt your focus and your approach. A high performer can benefit from you being a second set of eyes and ears during a customer meeting. A great coach to a high performer can be a thinking partner in, or after, the meeting. On the other hand, a lower performer may need more help getting ready for the meeting, spotting opportunities, or putting together proposals that will resonate. Sales coaching is about personalizing your coaching conversations to your performers, regardless of their experience or tenure on the team. In our work, ironically, we find it’s the high performers who want coaching more than the lower performers! Spend time with everyone on your team, and make sure you adapt your approach and focus accordingly. Every individual on your team is unique. Therefore, you must adapt to the styles of each salesperson on your team. Find ways that you will be listened to, not just heard. Great sales coaches also find a balance between tactical (in the moment) and strategic (territory or account level) priorities. They can shift gears as needed to be of service to their team, both in terms of the kind of help and coaching they need as well as in how to best deliver and engage them in the kind of coaching that will be most impactful. To build the confidence and capability of the individuals on your team, you must pay attention to what they are doing well and what they need to work on. Most sales coaches will zero in on what needs to “improve” or be done differently. While identifying opportunities to improve and helping correct mistakes is critical to coaching, so is noticing and paying attention to what they are doing well. Taking stock and sharing specific positive behaviors will build confidence and encourage them to continue where they are strong. Make sure that you reward and recognize when they are winning, not just when they’re in a slump. As a sales coach, you must be willing to ‘walk into the fire” and have tough conversations. Many coaches struggle with this part of their role; it’s easy to congratulate and thank, and it’s much harder to challenge and have the conversations your sales team don’t want to have. However, challenging your people is helping them think better or differently. Although these are not typically fun conversations, they are necessary to help your team increase their sales performance and results. And…. more often than not, your team will thank you for it in the end! A great sales coach provides perspective to the individuals on their team. They are a great sounding board for new ideas and strategies. Since your sales professionals are often on their own, trying to figure out ideas and approaches in a silo, being a great thinking partner can significantly help improve their performance. It’s not about having all the answers, but rather acting as a mirror to bounce their current thinking. By asking the right questions, versus having all the answers, you can tease out new, fresh approaches. A great coach doesn’t tell their salespeople what to do, they ask questions to get them thinking about what the best thing is to do. Allowing the salesperson to come to the realization themselves is a much more powerful approach than simply giving them the answer. It encourages them to think about their prospects and where they are getting stuck and engages their minds to finding ways to get unstuck. More importantly, by causing the sales professional to think broader or deeper, you create a higher sense of accountability and buy-in to ensure these ideas get actioned. Last but certainly not least, a great coach believes in their team even when the salesperson themselves do not. Providing encouragement and motivating your sales professionals is an important role you play in their development and performance. You can do this by reinforcing and rewarding positive behaviors and outcomes to keep your team on the right track. A great sales coach is a true partner to the individuals on their team. They are their biggest supporters, guiding them in the right direction by asking thought provoking questions, encouragement and motivation. An adaptable sales coach who truly cares about the success of their team is one who will retain their high performers and lead their organization to new heights. To hone your sales coaching skills, connect with us. We would be more than happy to hear from you.